We will promptly return your calls and emails. You may still have a case, provided you were not more than 50 percent at fault. 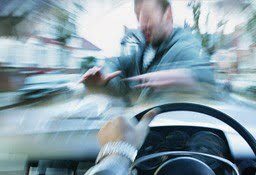 Often, the negligence of two different drivers contributes to the causes of an accident. Under Illinois law, an injured person in such a situation can still recover compensation through a personal injury lawsuit, so long as he or she was not more than 50 percent at fault. However, the injured person’s compensation will be reduced by the percentage that he or she was at fault. As an example, if a jury found that Driver A was 80 percent at fault for an accident and Driver B was 20 percent at fault, Driver B could still recover compensation through a lawsuit. However, if the amount of damages was found to be $100,000, Driver B would only recover $80,000. The degree of fault may be difficult to determine, as several different factors may be involved. As such, it is important to call us for a free consultation or contact another highly qualified attorney to determine whether you have a case. How do I know if have a car accident lawsuit? How much time do I have to file a car accident lawsuit? Why hire a car accident attorney or a car accident lawyer? What happens during a car accident lawsuit? How long will my car accident lawsuit last? What is my car accident lawsuit worth? Can I sue a bar if injured by a drunk driver? It was a painless process. Unlike the car accident, it was a painless process. They followed up with me often keeping me up to date on the progress. The case was settled and I was provided with a check for my damages. It was friendly and professional, and they took the time to explain everything. If you were injured or lost a loved one in a car accident because of the carelessness of another, you may be able to receive compensation through a personal injury lawsuit. Every 10 seconds a person is taken to the emergency room for injuries sustained in a car accident and every 16 minutes someone dies in one. As such, automobile accidents account for an overwhelming majority of personal injury claims nationwide. If you have been injured because of someone else’s carelessness (negligence), you have the right to pursue monetary compensation for your injury or loss. Learn about the personal injury lawsuit process and read about the most common types of personal injury cases. Medical malpractice, a type of professional negligence, occurs when a doctor, nurse or other medical provider violates the appropriate standard of care in providing treatment, resulting in harm to a patient. 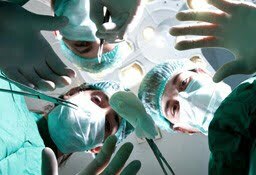 Medical malpractice can take many forms. 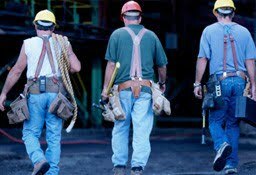 When workers are injured or become ill in the workplace, workers’ compensation laws provide a safety net to help compensate individuals for, among other things, their medical expenses, lost wages, and injuries. There are many stages in the workers’ compensation claim process.